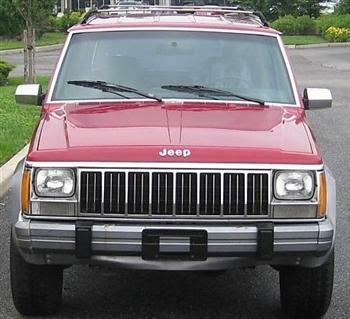 Used Jeep Cherokee: Lotsa Bang for the Buck! 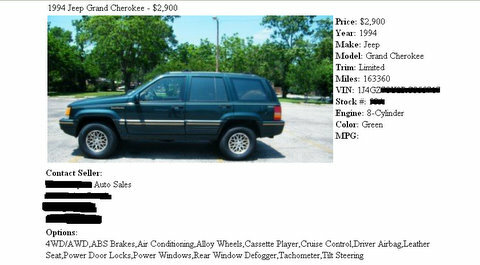 Used Jeep Cherokee: Plentiful and Cheap! How does a used Jeep Cherokee stack up with a comparable used Wrangler? First of all, can an older Jeep Cherokee or Grand Cherokee do what a similarly aged Wrangler can? Well, the answer is yes and no. Most Jeep Wranglers can go places where other vehicles will never be able to go...including the average Cherokee. The Wrangler has consistently been designed to function better in most every off road and extreme road condition imaginable. The Jeep Cherokee XJ came to life in 1984, and the Grand Cherokee was born in 1993, while the Wrangler has a heritage going back to the original Bantam and Willys military prototypes of WWII. But....and this is a BIG "BUT"...the three things that the Wrangler can't beat are the Cherokee XJ and Grand Cherokee on road handling, comfort and interior/cargo space. How many times have I heard folks selling their beloved Wrangler or CJ because they need more room and comfort for their expanding families...and/or cargo? Well, a great alternative again is a used Jeep Cherokee XJ 4x4, or a Grand Cherokee 4x4. For what you might sacrifice in off road performance you will gain in on-road-ability and the added benefit of carrying the entire family, plus a good amount of cargo to and from the back-country, camping site or simply to visit out of town relatives. And now the best news of all...tada! Used Jeep Cherokees are CHEAP..and..PLENTIFUL!! There is an abundance of pre-2001 XJ's and Grand Cherokees in good condition for less than $4000 and many are under $3000 with higher mileage. And most of these are with 4 wheel drive, and loaded with options. To find these great bargains you only need to look at your local online Craigslist.org, eBay.com/eBaymotors and/or Autotrader.com and type in your search for "Jeep Cherokees" in your area. 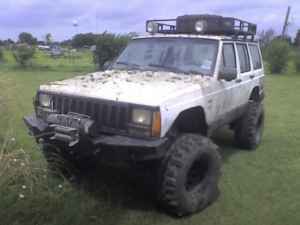 These inexpensive older Jeep Cherokees also make great "builders" with a ton of aftermarket parts to improve off road capabilities. A word of caution though: Be very careful about buying a highly modified Cherokee unless you know the previous owner/builder. Many of these rigs have been highly abused, so unless you are quite mechanically minded or can get the rig for a song, I would be extra cautious about laying down any cash. So, if you are looking for a great off road/on road/family hauler/commuter/all purpose vehicle you can't go wrong with a used (pre-owned) Jeep Cherokee or Grand Cherokee. Do you like "Classic Cars"? Then check out Mark's Classic Car History website!